Spring is definitely on it's way, and I'm loving it. 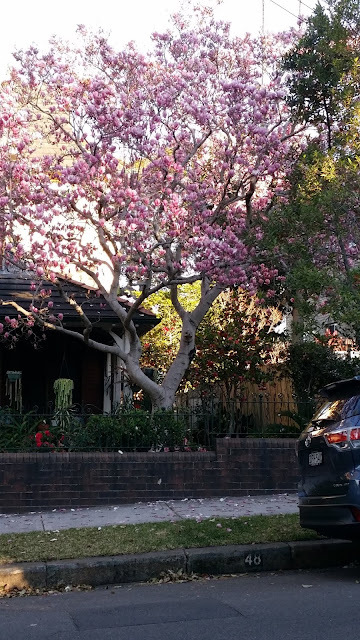 My morning walks take me past some beautiful sights, like this gorgeous Magnolia in bloom. I love looking into the yards of my neighbours, and watching what they've planted or what mystery is coming up. One of my neighbours has a very productive veggie garden in the front yard - and I've noticed they've got lots of garlic, beans and probably zucchini coming up. It motivates me to get out in my garden too. I also love watching who keep flowing bulbs. 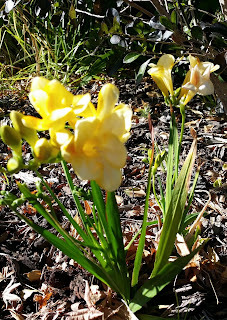 The surprise of seeing freesias, jonquils, or daffodils turn up over night is such a joy in spring. Spring is not quite here tho, as it's still chilly and windy, reminding us that the changing of the seasons is not on a single date. The transition period is important for the land, the trees and the flowers. Transitioning seasons is also important to me - I find this transition time very important to my wellbeing and sense of person. If I allow the transition period to pass without due attention to it myself, then I feel out of sorts and unprepared. 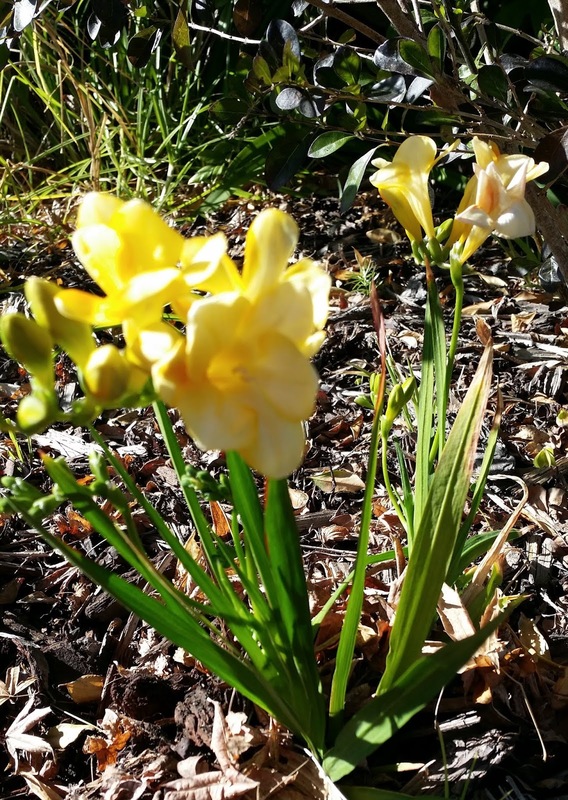 The transition to spring is for me an important time for re setting goals - now the days are getting longer, and mornings are not so cold, and my friends are coming out of hibernation. It's time to reset the balance - a time to find what's important to me in this new era. Social life, healthy life, intellectual life, and personal wellbeing. The challenge is that the world around me is also waking up to the new season - and business is abound. Work commitments, my voluntary circles are asking more, and family activities are being planned. Here's to finding the balance, being fair to myself, and remembering to enjoy the moment - smell the flowers. I love how our change of seasons are in opposition and I will revel in your spring and summer as our leaves turn orange and our ground then turns white! Paris in July 2018 - la fin!